1991-1999 Mitsubishi 3000GT (Non Turbo) Injen Short Ram Intake5AndewJanuary 9, 2012I have had this product installed on my car for about 4 weeks now and I have noticed an increase of MPG on the high way not so much for the city it tends to get up in to the higher rpm faster so once I got used to it, it was great. Deep tone at wot and when cruising nice sound that's not over powering. I love and am also buying for my 03 2500 silverado. 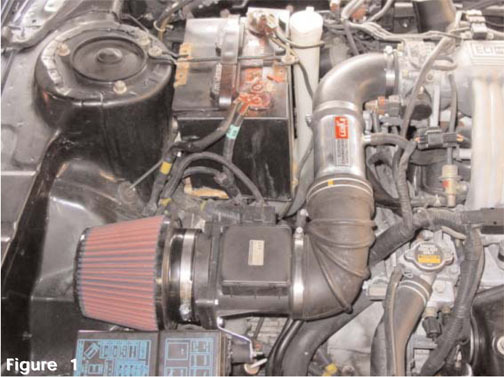 1991-1999 Mitsubishi 3000GT (Non Turbo) Injen Short Ram Intake5BrandonDecember 29, 2011Shipping was pretty fast and free. The intake fit perfectly. Will use this site again for other needs. The Part number for this item is: IS1820P and it fits 1991-1999 Mitsubishi 3000GT Non Turbo models.